Parents and children can find low-cost fun this summer by way of splash pads in Robbinsdale, Champlin, and Maple Grove. 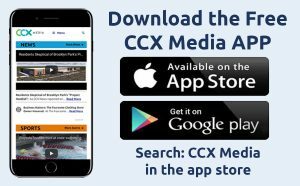 CCX News checked out three in the Northwest suburbs and discovered that these pads are a great way to escape the blazing summer sun. Our first stop was Manor Park in Robbinsdale, which opened in 2009. This pad has become a magnet, pulling in plenty of kids who enjoy playing in the dancing water. By mid-morning Friday, crowds were building and it was time for fun in the sun. There are plenty of cool features at Champlin’s Andrews Park, which was voted best water park by a local newspaper. Andrews also has a concession stand and a playground. The incredibly popular interactive fountains at Central Park have been popular since they opened a few years ago. Vestal says many people from cities all around the metro for Central Park’s unique playground and splash pad.